Designing a teen bedroom can sometimes be a hard task. The teen bedroom must reflect the personality of your teen and be easy to clean and maintain in order. In this post we have prepared a few suggestions for you. First, you may want to keep the actual age of your teen in mind, because there’s a big difference between a thirteen-year-old teen and a seventeen-year-old teen. We are well aware of the fact that no matter what their age, your kids will always be your babies, even when they are in their forties. But teens want to be accepted as grown-ups. So don’t be too tempted by the cute toy-like furniture and decorations. Make sure the teen bedroom corresponds to the age and needs of your teen. The next obvious thing to consider, when designing a teen bedroom, is the personality of your teen. Not too many people can afford to create the dream teen bedroom, but try to keep in mind your kid’s wishes. The teen bedroom must reflect the personality of the kid. Consider what your teen loves to do most in their free time. Are they a computer geek or a huge sports enthusiast? Do they play any instruments or like to paint? Do they like to hang out with friends in their room often or not? All these things should determine the interior design of the teen bedroom. If you have already decided on the general look of the teen bedroom, now would be the time to choose the furniture. Although teens are not babies and you don’t need to be careful with sharp edges and various other things that might hurt them, you still need to be careful with the choice of furniture for the teen bedroom. Make sure the furniture you select allow lots of storage options. This will help you and your teen keep the room organized. Functionality is just as important, if not more, as the look of the furniture for the teen room. So, choose contemporary-looking functional furniture. 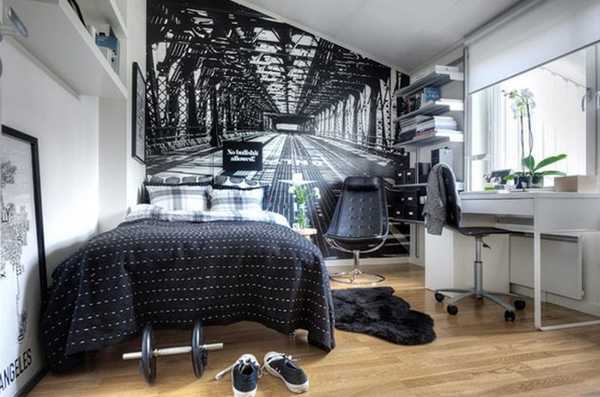 Check out some photos of teen bedroom design online for inspiration. You would definitely be able to find a design everyone will love. The best part about designing a teen bedroom is that your can leave the decoration part to your teen. Bedroom Design design, furniture, teen, Teen Bedroom. permalink.